What the Heck is a Cap Rate? One of the most misunderstood techniques for evaluating an investment is the capitalization rate or “cap rate”. 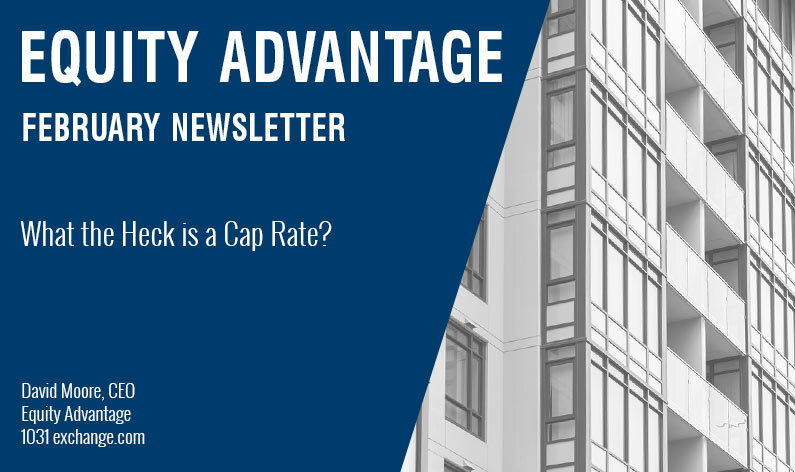 The term “cap rate” is used over and over again to describe the value of investment properties, though few in the Investment community consider that cap rates are meaningless without having expense and mortgage rate information. 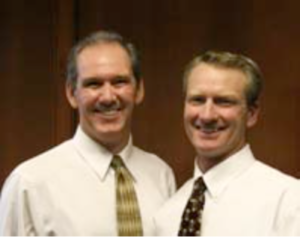 A cap rate is simply the Net Operating Income of a property divided by the selling price. Net Operating Income is the property’s income less expenses. Is the Scheduled income or the Gross Operating Income used to make this calculation? Does the cap rate include laundry income and credit losses? Is the income at market rates, lower than market or pumped up to make the property look good? Are the expenses the seller’s expenses or the buyer’s? What kind of financing is being used and at what interest rate? Cap rates may vary widely on the same property by manipulating income and expense information. Cap rates rely upon income as a primary means for valuing property. They do not take into account appreciation, tax benefits or equity gain. Consider the effects of appreciation, is it better to buy a property with a cap rate of 9% and no chance for appreciation or to buy one at 4% with the possibility of doubling your investment in a year? Equity gain (the monthly reduction of the principal loan balance) may be well in excess of cash flow, yet it is not reflected in a cap rate. Taking over an old amortized loan may produce thousands of dollars of equity gain over a short period of time because the majority of the monthly payment goes toward reducing the loan balance. This is certainly a more profitable situation, even with a low cap rate, than obtaining a new loan in which the bulk of the monthly payment is paid to interest. Risk is not included in calculating the cap rate. Is the building a federal post office or a strip mall in a high crime area? 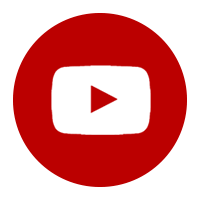 Would you rather have the federal government paying rent on a property with lower cap rate or a television repair shop renting at a higher cap rate? Cap rates do not give information on Return on Investment (ROI). ROI is the reason we invest. At best, if rents are at market levels and expenses and loans are standardized, the cap rate can compare the income/price relationship between two properties. Is this valuable? Yes, if you know the standard values used in a market area and understand what is happening there. It is useless for comparing between classes of property and between widely differing economic/regional areas. 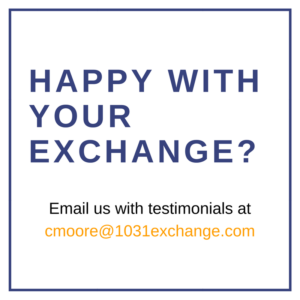 Do Exchange options allow me to acquire replacement property in a different state than the relinquished property? 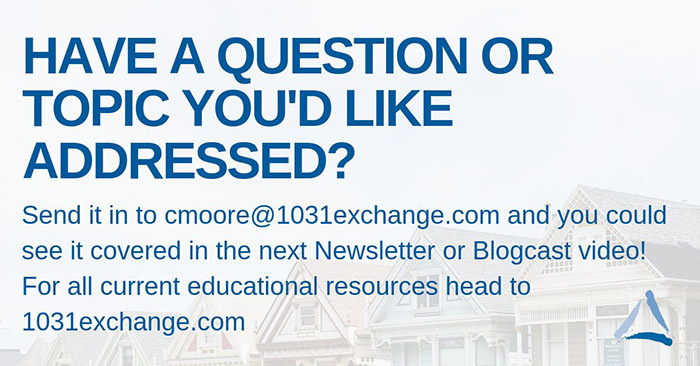 Join brothers, David and Tom Moore of Equity Advantage as they cover replacement property requirements and more in the latest 1031 Exchange Blogcast! 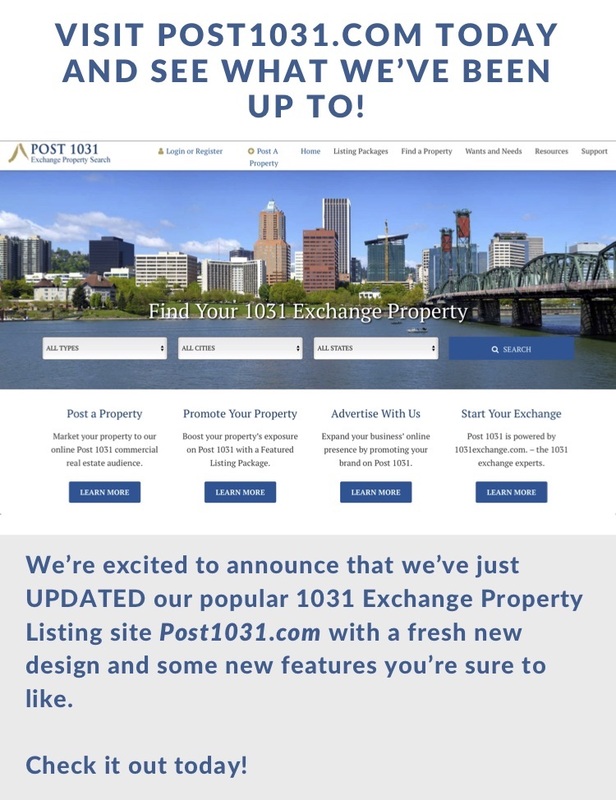 For more 1031 Exchange videos check out our channel today. 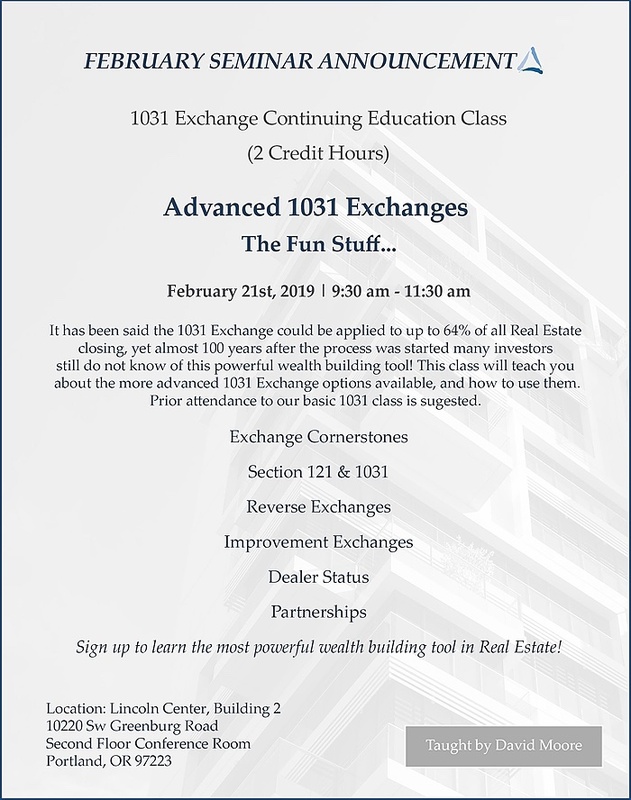 Equity Advantage Newsletter - What Are You Selling?